Today was a good day for Bruins Ryan Hollins (of the Celtics) and Jrue Holiday (of the 76er’s) both of whom helped their teams to close-out victories and entrance into the second round of the NBA Playoffs, joining Bruin Darren Collison (of the Pacers). Bruin Arron Afflalo (of the Nuggets) is also in a good mood tonight, after his team torched the Lakers (and Bruin Matt Barnes), forcing a Game 7. 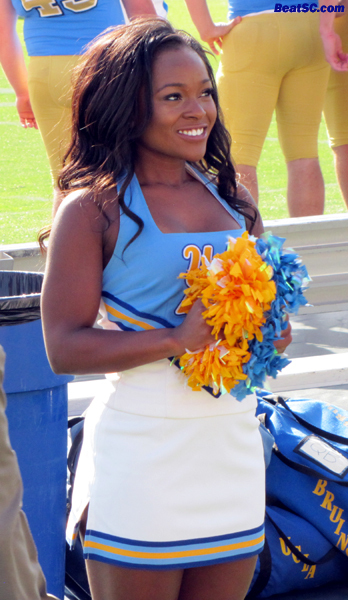 But now, it can be a good day for you too, as another UCLA Cheerleader pictorial is here to put YOU in a good mood too. These photos are all from the UCLA Spring Scrimmage, which was held on Saturday, May 5th and attended by over 13,000 Bruin Football fans. 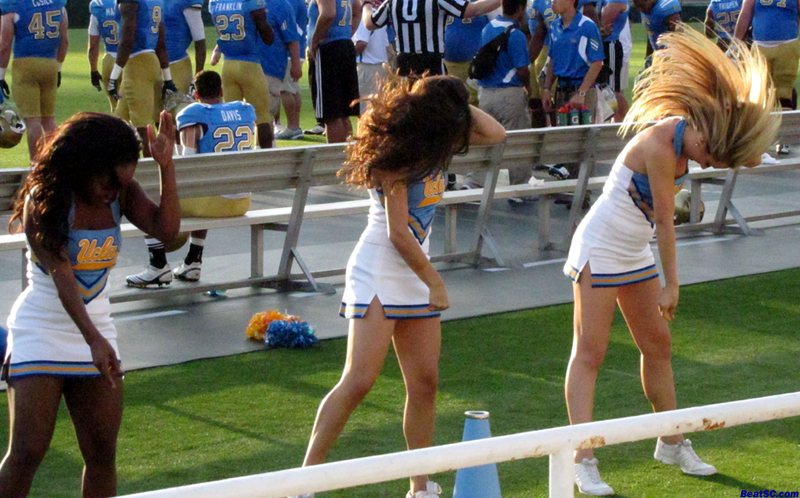 But no one was closer to the 6 Bruin Cheerleaders who were performing on the sidelines than I was, just to bring you photos that attempt to do justice to these beauties. 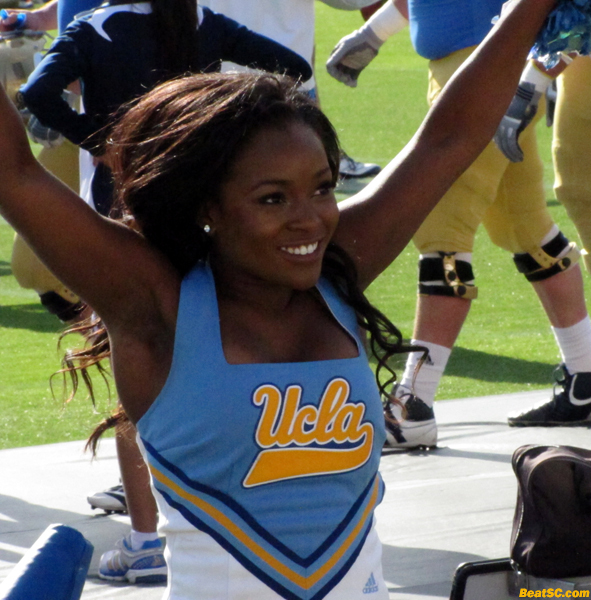 Below are 25 new captioned Cheerleader photos from the event. There are still about 50 more I intend to share, as well as more from the Spirit Squad Auditions, coming soon. 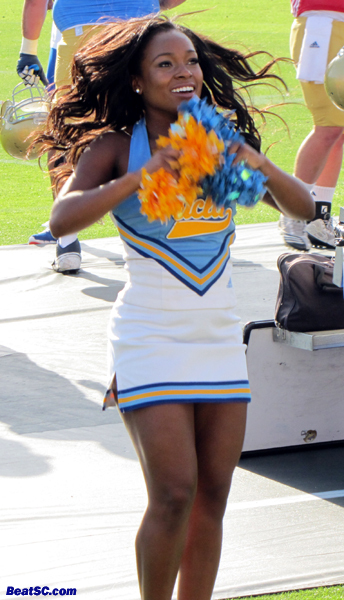 "DESSERT HOT SPRING" was published on May 11th, 2012 and is listed in UCLA/usc/Cheerleader Photos.